If you live or work in Miami Shores and you were seriously injured in any kind of car accident, then we invite you to call the Miami Shores Car Accident Attorneys at the Wolfson Law Firm. Our team of personal injury lawyers in Miami have helped victims of negligence since 1963. The Wolfson Law Firm personal injury legal team are available to help you. We provide free consultations 24/7. Call us today at 305-285-1115 and let us interview with you for the opportunity to be your Miami Shores car accident attorneys. Originally, the area now known as Miami Shores was the Biscayne Neighborhood. After the Depression hit the country, the area was incorporated in 1932 as Miami Shores Village. It is the home of the Barry University campus and is now well regarded as a bedroom community with above-average home values. Make sure you and your passengers are safe. 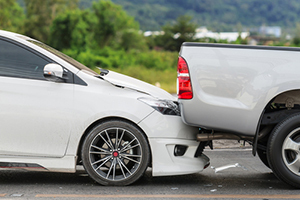 Avoid any additional injuries by vehicles that come upon your accident scene. Get medical help and call for law enforcement. It is always best to get checked out following any type of accident. Better to know that you are okay than to find out later that you had a serious internal injury. Use your phone to take photos and videos of the scene. Call the best Miami car accident lawyer you can find to help you deal with the aftermath of the car wreck. At the Wolfson Law Firm, our Miami personal injury attorneys are here to help you and your family after any type of accident. For more than 50 years our team has helped people put their lives back together and we can assist you too. Just call us at 305-285-1115 and let us get to work for you.